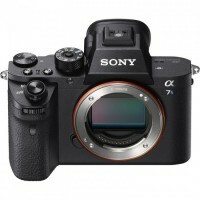 The original a7s burst onto the scene, redefining low light shooting. The a7SMKII continues this march, adding SLOG3 output and when paired with an Atomos Ninja Flame can record high bit rate 4K externally to continue its position as the "go to" camera for professional B roll and Gimbal operators. The Ninja Flame addresses all of the limitations of the a7SMKII while letting its strengths sing. Maintaining a light footprint, the small 3" screen is replaced with a 7" 1500nit monitor with HDR preview, whilst the low bit rate internal 4K footage benefits from recording externally to high bit rate codecs in full I frame quality. Record direct to ProRes & DNxHD full intra frame encoding with 422 color accuracy and 10-bit color resolution.